It is learnt that only a meagre 5 per cent area in Tamil Nadu has a master plan while the growth is unplanned and thus haphazard in the rest of 95 per cent area of the state. 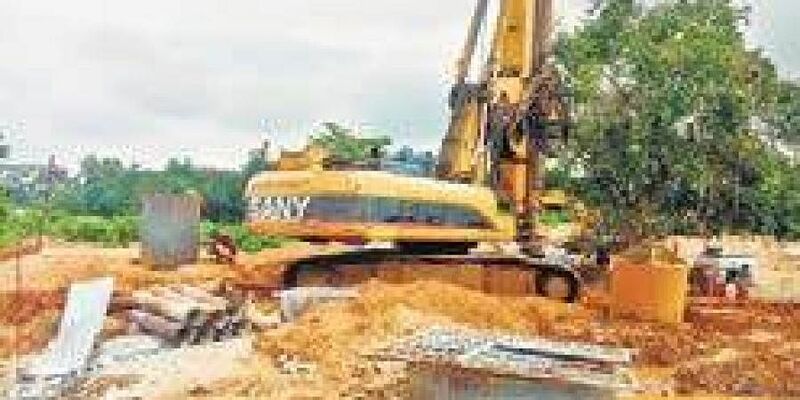 CHENNAI: In a bid to regulate 95 per cent area of Tamil Nadu, which is unplanned, the Directorate of Town and Country Planning will launch a massive campaign with the help of developers and other stakeholders to spread awareness of the necessity of obtaining planning permission and the process involved so that orderly development is possible. This comes as Commissioner of Town and Country Planning Beela Rajesh has circulated mails to various stakeholders on generating awareness about obtaining building permission and approval for layouts and to enable them to know the land use classification and how to obtain completion certificate. However, the list of stakeholders is not made public online and planners are questioning the lack of transparency over the stakeholders involved. Ajit Kumar Chordia, president, Confederation of Real Estate Developers Associations of India (CREDAI), Tamil Nadu, told Express that CREDAI was approached and they have nominated an agency. “The campaign is basically for lesser known developers who are unaware of the development regulations,” he said. It is learnt that only a meagre 5 per cent area in the state has a master plan while the growth is unplanned and thus haphazard in the rest of 95 per cent area of the state. This also comes as the state government asked the Housing department last year to prepare not just a detailed note on developing land use plans for the whole State and stressed the need for a process of obtaining approvals in both plan and non-plan areas and an interim arrangement for uncovered areas. DTCP sources said that as part of the awareness campaign, people would be educated on verifying the layout or plot approved by the Town and Country Planning department in the website www.tn.gov.in/tcp. They could also verify whether the local body has granted regularisation order for the plot under the unapproved layout plot regularisation scheme in the website. This comes as more than 56,000 layouts including 20 lakh plots in these layouts from across the state have applied for regularisation. Other than that, the focus will also be on how to obtain building permission. For ordinary buildings not having more than four dwelling units and not exceeding 4,000 square feet and not more than ground-plus first floor permissions can be obtained from local body while respective field units of the DTCP will give permission for special buildings and multi-storied buildings. Details about land use classifications and details of permissions issued for buildings, layouts can be accessed by sending requests to egovdtcp@tn.gov.in or by calling 044-28521115/2821116.